Are you looking for ways to speed up the life insurance application process? 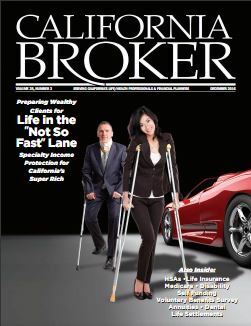 This article, “Technology’s Benefits- shorter turnaround time and improved applicant experience,” written by Vice President of National Sales, John Reynolds, and published in December’s California Broker Magazine identifies several ways technology is helping insurers gain efficiency. Click here for the full article.